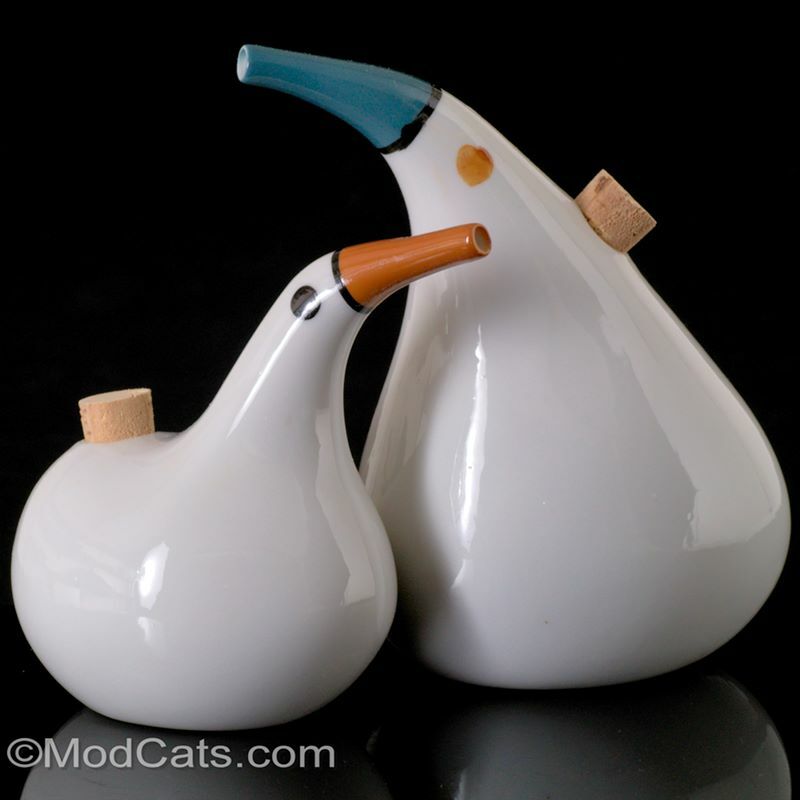 Really nice pair of rare of "Sandpiper" bird cruets designed by Japanese ceramicist Kenji Fujita at Lagardo Tackett and Associates (1953) for the Freeman Lederman company (USA). The additional KF markings outside the boxed double FL logo on the base is clearly marked. Condition: The larger bird has a tiny area of missing glaze on beak - very close to an equally small area of eye-color orange overglaze on the blue beak (see photos 4;6 & 7). Other than this both birds are in excellent condition.